Three Boy Circus: Cover Reveal for Silent Echo and Giveaway! Cover Reveal for Silent Echo and Giveaway! 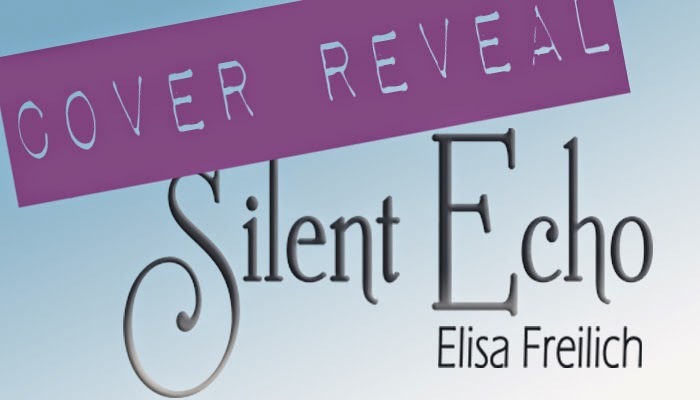 Today we're excited to reveal the cover for Silent Echo by Elisa Freilich! Rendered mute at birth, Portia Griffin has been silent for 16 years. Music is her constant companion, along with Felix, her deaf best friend who couldn't care less whether or not she can speak. If only he were as nonchalant about her newfound interest in the musically gifted Max Hunter. But Portia's silence is about to be broken with the abrupt discovery of her voice, unparalleled in its purity and the power it affords to control those around her. Able to persuade, seduce and destroy using only her voice, Portia embarks on a search for answers about who she really is, and what she is destined to do. Elisa Freilich has enjoyed a love affair with language from her earliest days. Raised in rural Monsey, New York, Elisa spent her days reading whatever crossed her path and developed a keen appreciation for the ever-present music in her home – from classical to rock. French lessons and creative writing workshops complemented her adolescence, which was also greatly enhanced by a summer spent abroad at Cambridge University. From the time she could read and write, Elisa could often be found composing poems, song lyrics and satirical newspapers. Throughout the years, Elisa has retained her devotion to all genres of books and music and was determined to synthesize her passions into one refreshing and original platform. The result is her debut novel, SILENT ECHO: A Siren’s Tale, which will be published by Diversion Books in September 2013. With her own lyrical style, Elisa has created a world that young adults around the globe will find intensely gripping and refreshingly original. That book sounds great and since I need another book on my "to read" list like I need hole in the foot, I am off to add it now! Yes, it does! I know what you mean; my goodreads list is really long!